Your bath routine is unique to you. Everyone has their favourite scents for bath salts and oils. Their preferences could also change for candles and incense. People choose different activities to do while staying in the tub. If you are new to baths, here is a quick guide to the things you need or might want to try to let off some steam. Lighting a candle while you are in a bath is a typical image in movies that people do in real life. An excellent scented candle is not overpowering and can be very mild. They are used for aromatherapy, which can help your overall psychological well-being. Try to find scents that calm you, or ones that are associated with good memories. A relaxing bath is not just about treating your skin and muscles, but about putting yourself in a comfortable mental state. Another thing that will help put you in that relaxed mental state are sounds. Listen to your favourite music or soft jazz. If you are not the music type, you can find apps online that play white noise like rain, a fan, or a vacuum cleaner. It may sound weird, but some people find themselves more relaxed with a little bit of noise over total silence. You need to have a bathtub that can accommodate you. Ideally, the water should reach the top of your chest or just below your clavicle. A comfortable size means you do not have to slouch. There are many kinds of bathtubs; some are more high-tech than others. 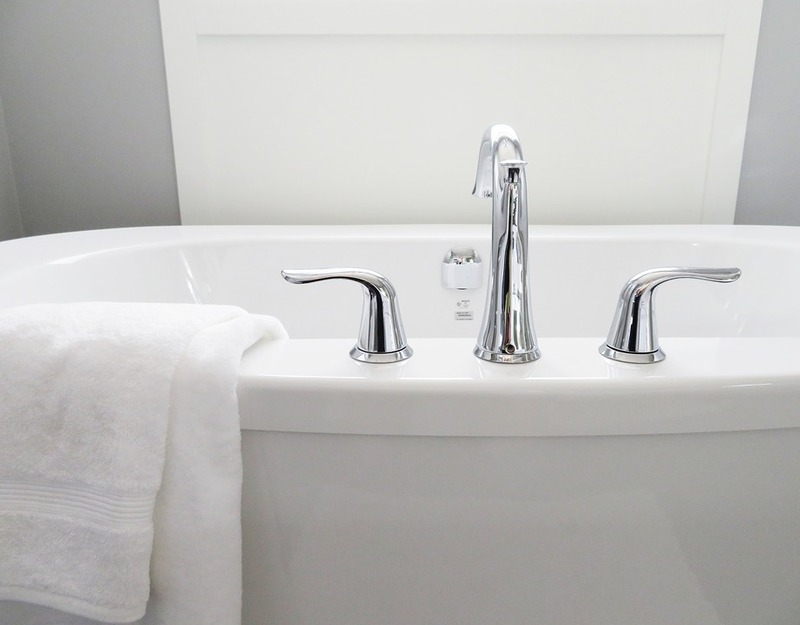 A freestanding bath made of porcelain can help maintain the temperature, and some bathtubs can reheat your old bathwater. The next step is to select your bath salts or oils. A childhood favourite is bubble bath; it is fun and fragrant. Who wouldn’t want another bubble bath? However, if you’re going to relax, do away with the bubbles. Find bath salts and oils that are meant to treat sore muscles. Popular choices are products that contain eucalyptus, lavender, or arnica extract/oil. These essential oils reduce inflammation and improve blood circulation. If you have no sore muscles, you can use a milk bath and improve your skin instead. Avoid falling asleep in the bath by reading a book or watching a movie. Baths produce more benefits when you have a good long soak (around an hour). Keeping yourself occupied without stressing about obligations and work means you need to distract yourself. You can reread your old favourites or new finds that you have put off for too long. Your bath-time is “me” time. You can expand your routine to include a light self-massage, a facial mask, and additional skin care. Try this a couple of times before you decide if it is for you. Switch products and routines until you find one that makes you feel brand new.